I’ve been wanting to offer a list for a while and this is as good a time as any. The following list of Internet Marketing tools is composed of the tools I use on a somewhat regular basis. There are others I use as well, but less frequently. 1. Google Keyword Tool - I use this on a daily basis, primarily for the keyword research of my mini-site and article marketing efforts, but it’s useful for selecting niche phrases on any type of site. Just like any other keyword tool, the results aren’t exact, but it’s worked well for me. 2. Automatic Article Submitter - I use this tool regularly for all of my article submissions. This is by far the best article submission tool on the market. It’s not JUST an article submission too though… it does much more! 3. Instant Article Wizard Pro - This is the first article “creator” I’ve ever recommended. My initial feelings on this type of software was that it was impossible for software to create an article that was actually readable and useful to others. I can honestly say that I was wrong. I started using IAWP about a month ago and although some articles need a little editing, it’s cut huge amounts of time off of article writing. I’ve been having my sister write my articles lately and she’s been using this and sending twice as many articles than before. Just take a look at the videos! 4. SpyFu - Although this is actually a PPC tool, I use this to find high paying niches! 5. Search Status - This is a Firefox toolbar extension that shows you the Google Toolbar PR, Alexa Traffic ranking, Compete ranking, # of backlinks and much more of each page that you visit. It’s all shown in a somewhat compact area on your browser. 6. SEO for Firefox - This is possibly one of the most useful and time-saving tools I use. 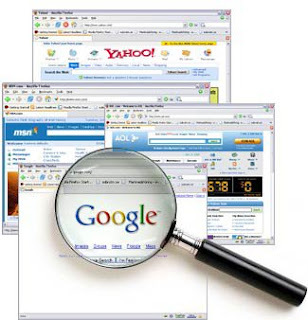 It inserts alot of useful data directly into the search results of Google and Yahoo. You just do a search as usual and directly below each result you’ll see data such as PR, Age, Cache date, Yahoo Links, DMOZ, Alexa etc. It makes competition analysis much quicker and easier and is just neat all around. 7. Rank Checker - This is Aaron Wall’s newest tool from SEO Book, which provides a very simple way to check your sites rankings on Google. This is also a Firefox addon. 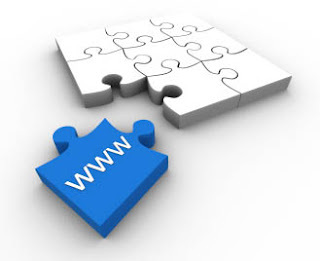 You just open it up, insert the domain name and the keywords you want to analyze and it shows you the rankings. 8. RoboForm - This isn’t just an Internet Marketing tool, it’s useful for all of your online activity. It works with Internet Explorer and FireFox for sure, and possibly other browsers, although I’m not sure. You enter all of your usernames and passwords and with the click of a button RoboForm inserts the details for you. With all of the UN’s and PW’s we deal with on a daily basis this tool is awesome. I’ve been using the pro version for several months now and I Love it!! You can also insert your personal details for forms if you like. Alot of neat features. 9. Camtasia Studio - ok, I don’t use this on a daily basis. I’m actually HORRIBLE at video and produce very little of it, I do have a copy of Camtasia and use it on the rare occasions in which I do need to produce a tutorial. It’s very simple to use and understand and produces quality video. This is the industry standard for screen capture. I just wanted to mention it because I do see alot of value in it. If I were a better speaker and teacher I would be using this on a daily basis. 10. Fresh Drop Domain Finder - This is a site I just recently came across, but I’m now addicted to. They show lists of recently expired domains, domains up for auction that are about to end, etc. and they have an excellent search tool. But, be very careful with this tool or any other related tool. There are alot of people out there offering domains with fake data.